Things You Need To Know Before Renting A Dumpster - Something New Everyday! How many people know much about dumpster rentals? Probably the majority are in the construction, industrial, and commercial industries. However, other people only use dumpsters when the need arises. This group has limited knowledge about renting dumpsters. While it is not common for the majority of people to use dumpsters, knowing renting them is important. First, it will make the process easier and less intimidating. Also, it will save money. Here are a few tips on what people need to consider before renting dumpsters. Those who need dumpsters must first determine the size they would require before renting. Many people make mistakes by ordering sizes that are either too big or too small for their intended purposes. Consequently, they end up spending more because of logistical problems. Most rental companies offer different sizes of dumpsters from 10 to 40 yards. For those people who are doing small-scale remodeling projects, 10-yard dumpsters are the best choice. For industrial purposes, however, 40-yard dumpsters are of choice since they deal with large amounts of debris. However, many people who are doing construction may be unsure of the amount of waste their projects may produce. In this case, they need to consider renting dumpsters from companies that only charge for the used space. If the customer fills the bin half-way, he will only incur expenses for that amount. Those seeking to rent dumpsters must consider the weight of their waste and whether it is a mixture or not. Most dumpster-for-hire companies refuse to deal with mixtures. All companies do not accept hazardous materials. Therefore, consulting with them before going further is advisable. There are those who do not like spending the time to compare what different companies offer. Such people end up spending more than they should. Wise people do their homework well and make numerous inquiries. For example, they could inquire about tipping fees, and fuel surcharges then make comparisons. Some people feel embarrassed about negotiating for the price of goods and services. They end up spending more. Yes, dumpster-for-hire companies allow for negotiation. However, many of them do not indicate that they offer discounts unless someone asks. Negotiation can cut down the costs. 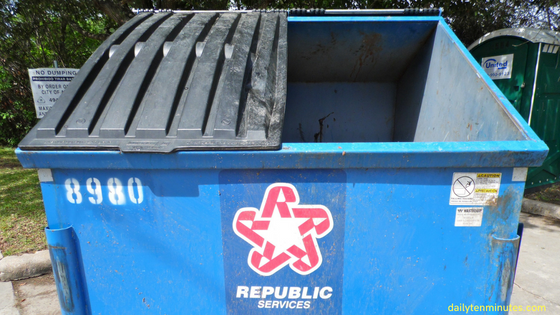 It is very vital to know the period and timing of projects or cleanouts before calling a dumpster-for-hire company. It will ensure that the hire goes on smoothly. It is not good to begin spring cleaning, for instance, when there is no place to dump the debris. Engaging a timely company is also important. Dumpsters are different. Some weights and dimensions of dumpsters can be damaging to driveways, sidewalks, and gardens of clients as they do not fit in. That would mean more costs at the end of the day. Typical dumpsters that fit in all types of driveways are about 8x12 feet. The Internet is a very rich resource for finding customer reviews that will enable one to choose the right dumpster-for-hire company. Reading reviews would do well for those people who are seeking to hire dumpsters. Clients should make sure that the company of choice is environmentally-friendly and experienced. Contact Eagle dumpster rental for all your waste removal management needs in residential or commercial application areas.